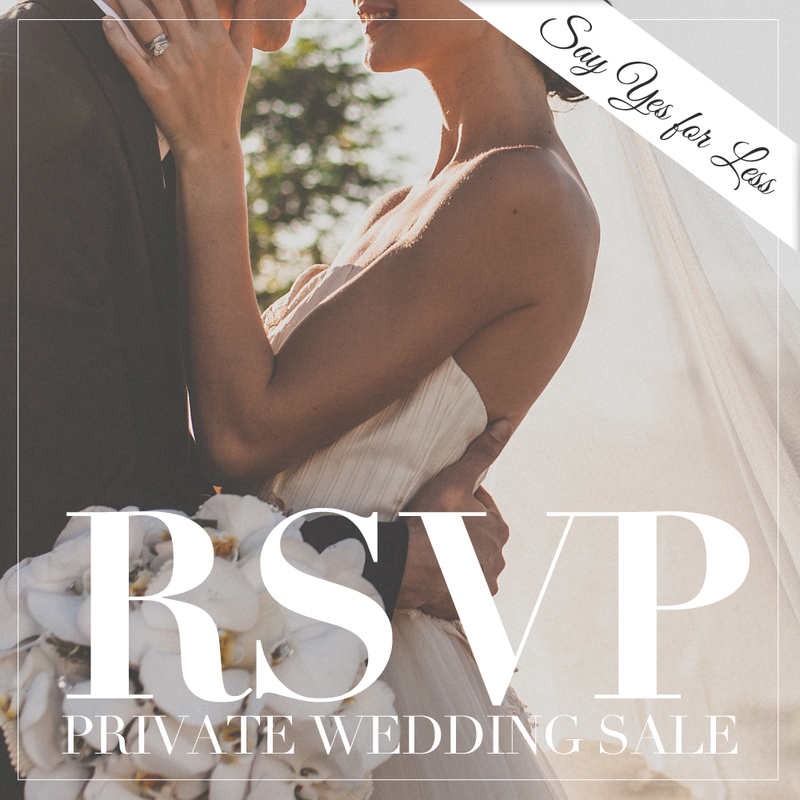 RSVP Private Wedding Sale — Say Yes For Less! Countdown to our 10th year Anniversary! Palazzo Verde (Fernbrook Inc.) recently launched its countdown to its 10th anniversary promo. Dubbed the first of its kind in the country, RSVP PRIVATE WEDDING SALE enables clients who will book this month to enjoy big discounts, not just once, not twice, but three times all in one event booking! Here’s how. First, you can score a big venue rental discount of as much as 47%! But that’s not all. Our accredited suppliers are joining in to make this even more exciting. So upon booking, you will automatically get two (2) diamond passes to RSVP PRIVATE WEDDING SALE on October 1, 2016.This GAURANTEES two kinds of discounts for you- a minor discount from 5% to 15%; and a major discount from 20% to as much as 50% on two different suppliers! All you have to do is show up at the sale or send a representative, choose your suppliers and book! It can’t get any simpler than that. There are enough slots for all booked clients of Palazzo Verde. But it would be an advantage to show up early to get the good ones. While this promo is a little bit too good to be true, we promise that after this, you will be well on your way in the preparations for your big day spending less than what you probably thought you would. Valid for bookings made within August 2 to September 17, 2016. Events within 2016 to 2018. Call us now to learn more. The numbers are (02) 710 8545, (02) 710 8608 or 0918 870 3838. Email us at info@palazzoverde.com.ph or visit our website at www.palazzoverde.com.ph to learn more. This promo is presented by Palazzo Verde and Manila Bride Magazine.